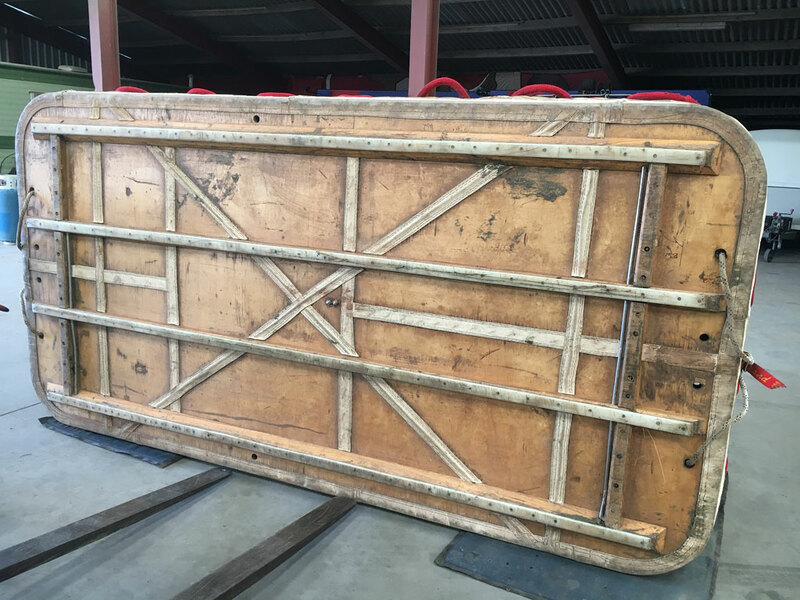 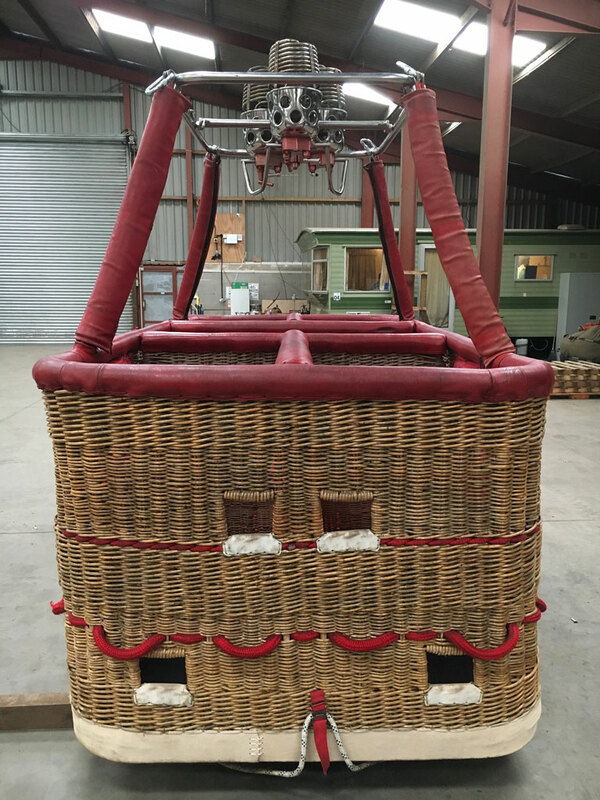 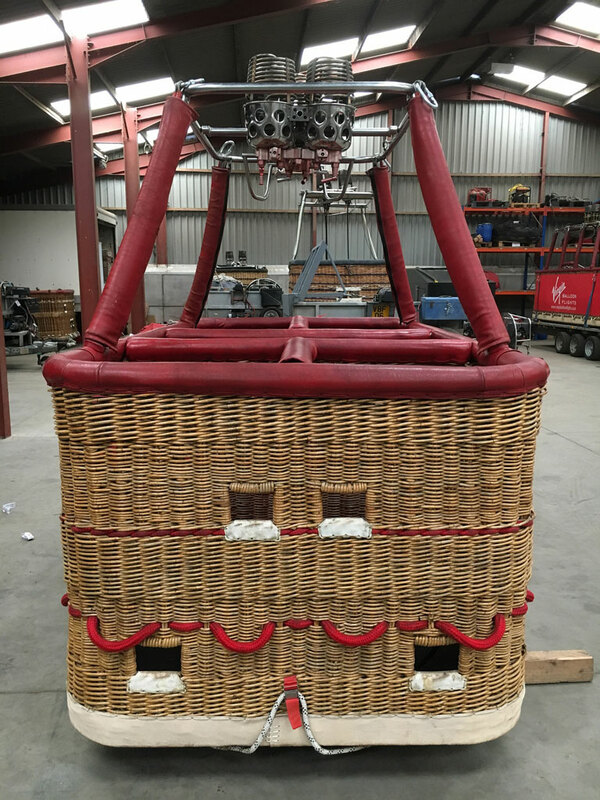 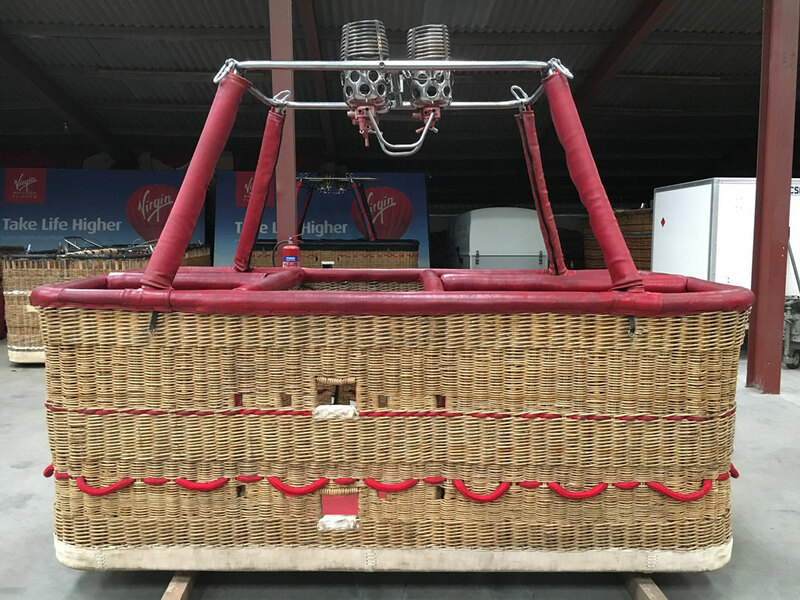 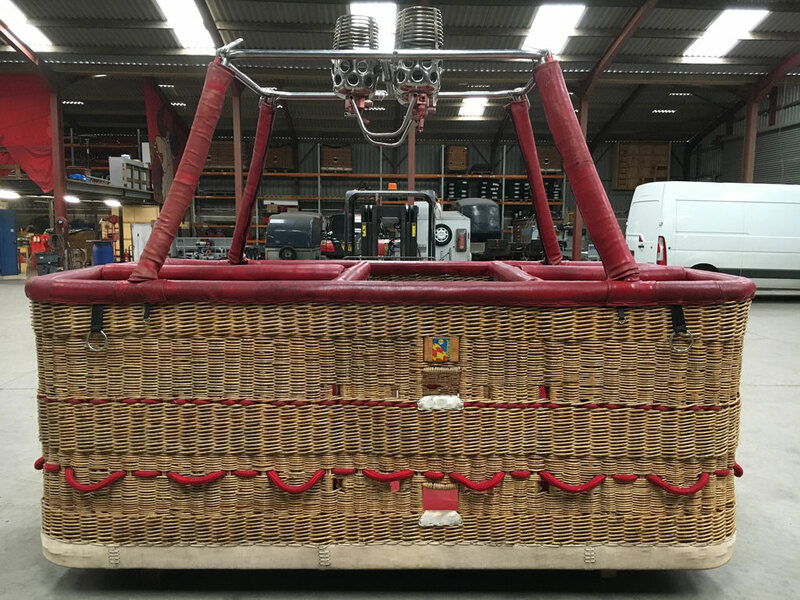 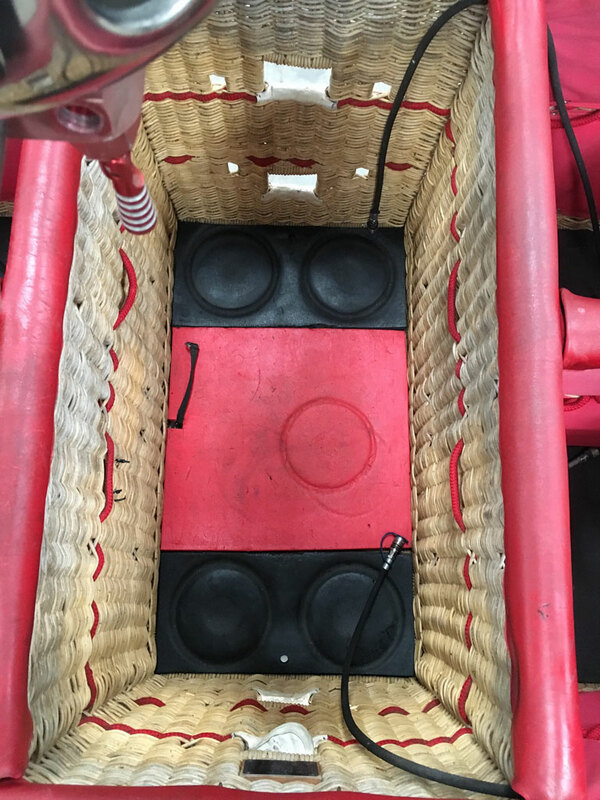 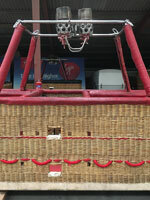 Lindstrand double T basket, built 1997, 3.00m x 1.52m, off center pilot compartment. 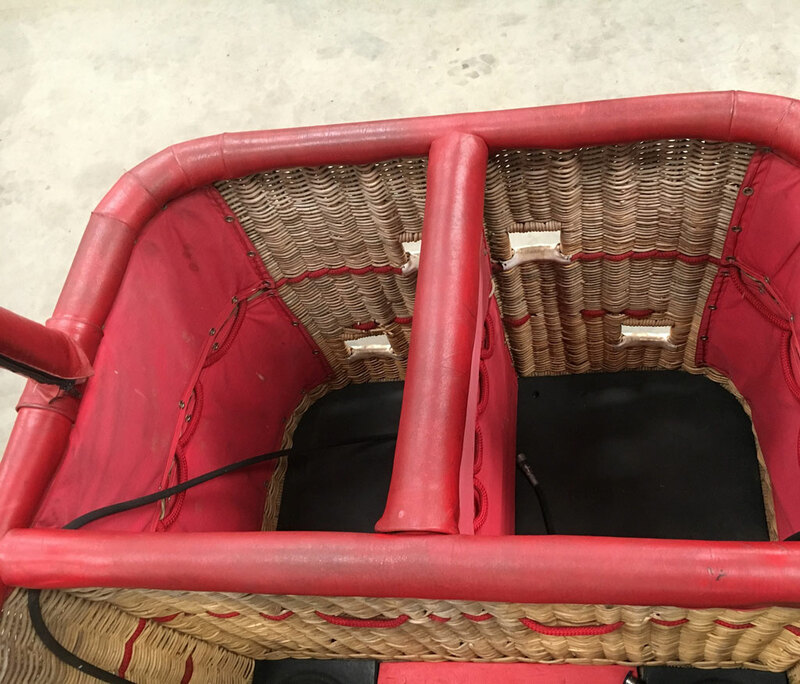 Red leather top trim, sidewall padding, cushion floor. 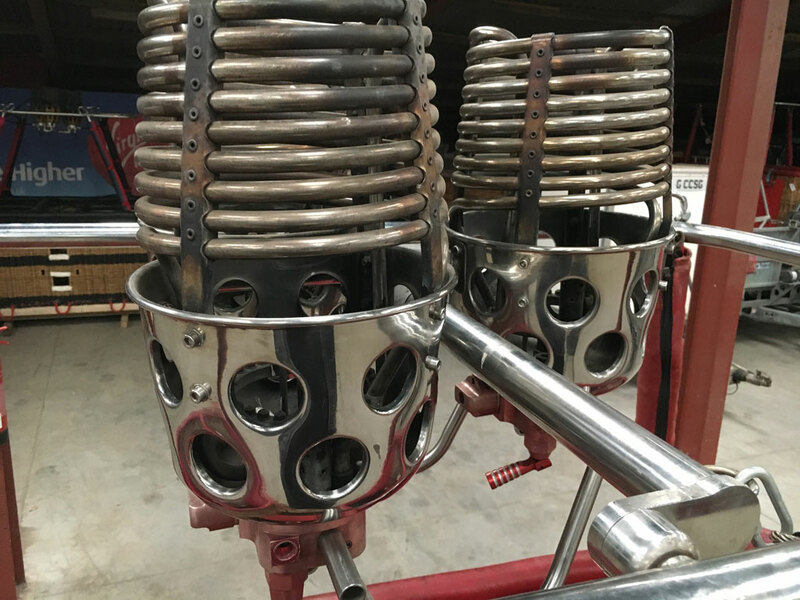 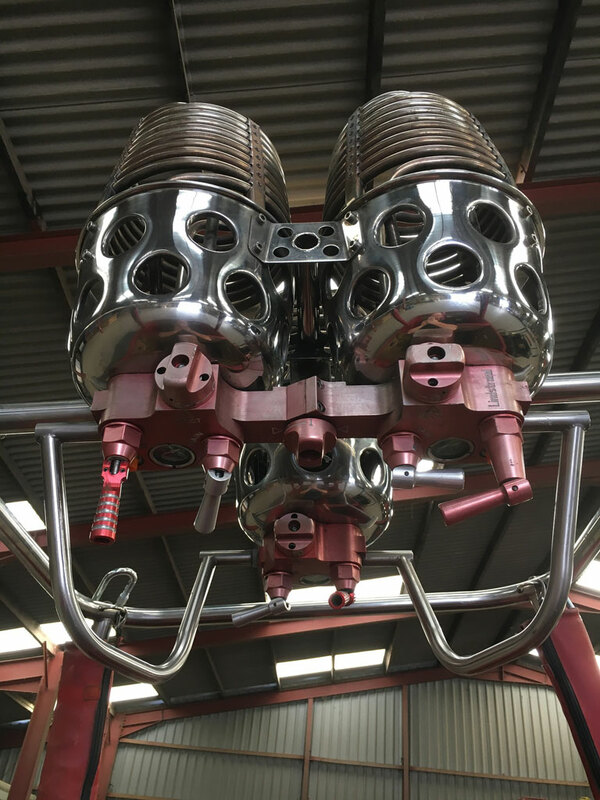 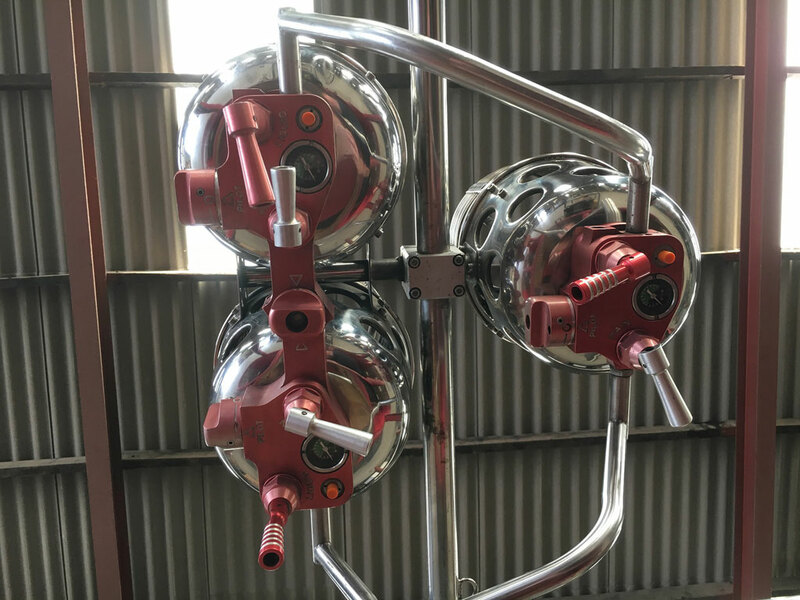 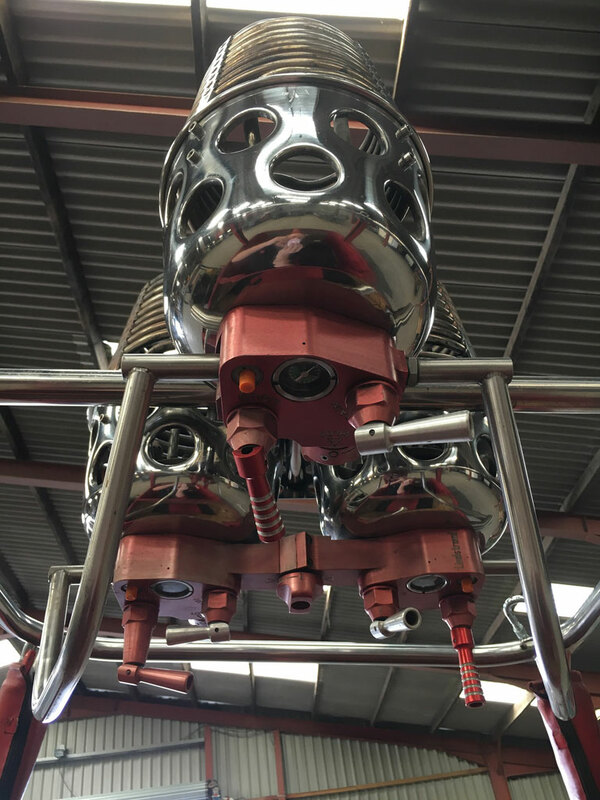 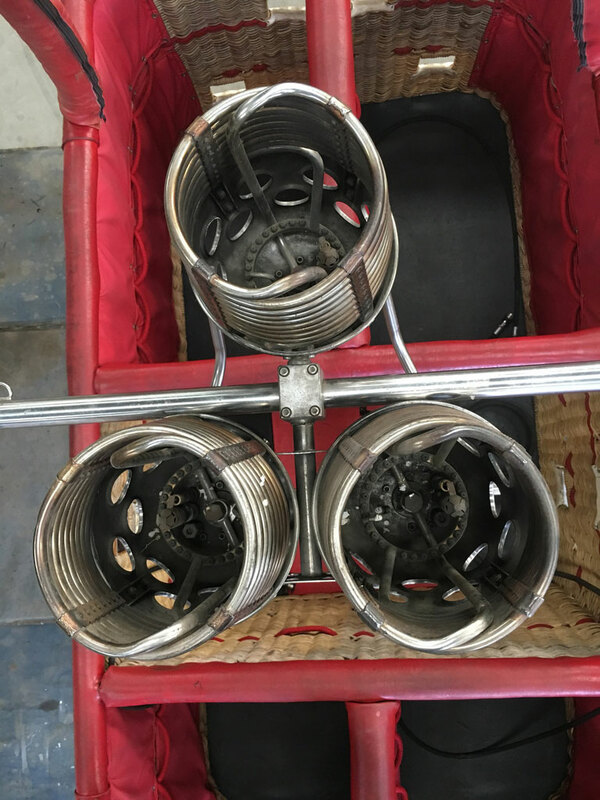 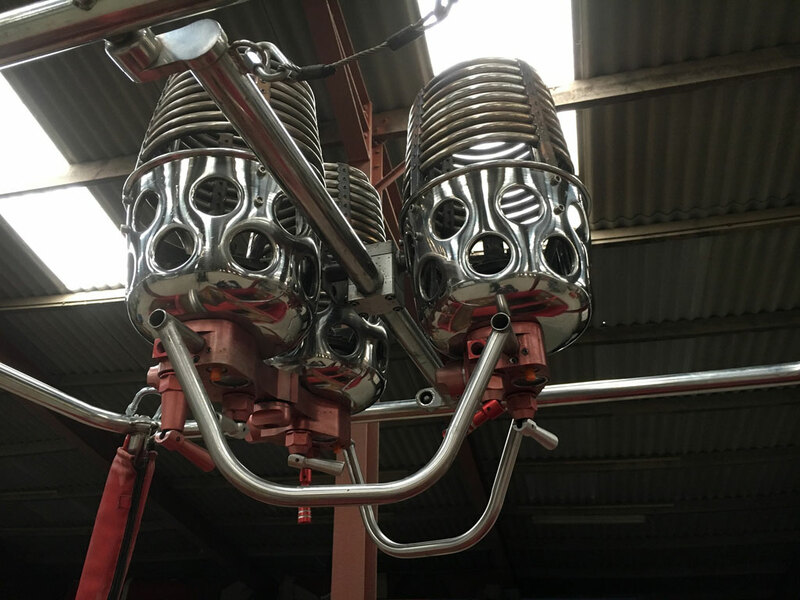 Lindstrand Jetstream triple burner, built 1995, liquid pilot lights, will be fitted with new hoses (either REGO or TEMA depending on your choice). 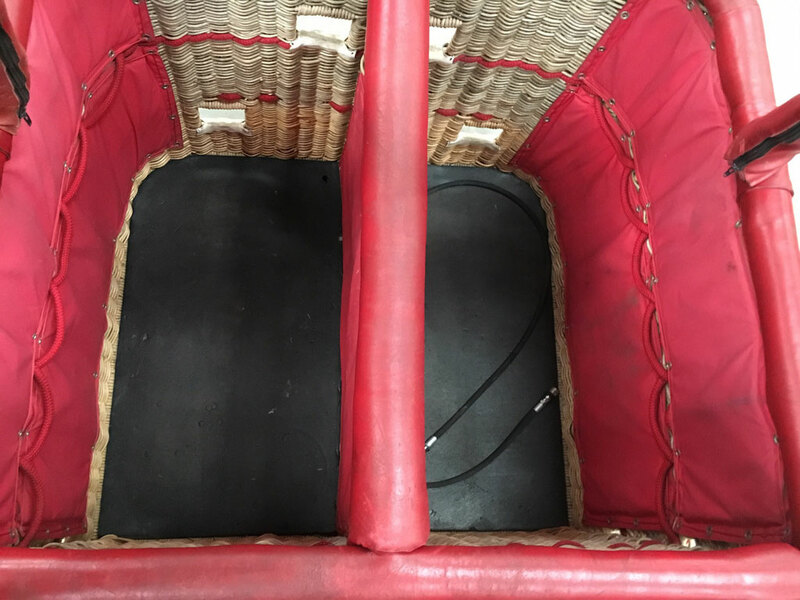 Listed in category Bottomends since 01-04-2019.